Navigating a strange new place is a challenging thing for the first-time tourist. Figuring said city’s public bus transport system (or train, or street cars, or whatever kind of public transport system there is) is an even bigger challenge. Take, for example, Maui: Island paradise with various bus routes and transfer junctions. It can be confusing at first, especially since the first time tourist – In this case, YOU – has no idea where he/she is or where he/she is going. But don’t worry. We’re here to show you the ropes. There are two public bus routes that stop at Kahului Airport; the Upcountry and Haiku Islander routes. You won’t have any problems if you’re going along these routes. The buses depart from the Maui Bus stops at designed locations facing the main terminal. - Route 40 (Upcountry Islander): From 06:00 am to 10:11 pm, every 90 minutes. - Route 35 (Haiku Islander): From 05:30 am to 09:40 pm, every 90 minutes. Please note that buses operate seven days a week plus holidays. There are 10 public bus routes in total. Here they are, listed according to proximity to the airport. The important stops are included. These names and places may not mean anything to you now, but these public bus transport routes are the cheapest way to get around the island. It definitely helps if the place you’re going to has the same name as these public bus routes (for example, the Lahaina Islander route for Lahaina; please note that the Lahaina Villager route covers Lahaina but doesn’t go to other places). However, some tourist attractions are beyond the main transport routes so you’ll still have to allow some money for shuttle services. General boarding costs only $2 for all routes and daily passes cost $4 for all routes. If you’re planning on staying for a month or so and exploring the Maui, you can buy a monthly public bus pass at $45. 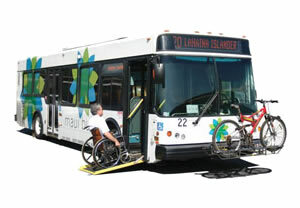 You can buy daily and monthly passes from the Maui public bus drivers. If it’s still confusing, you can always check the up-to-date official prices, schedules and maps here at this website: www.mauicounty.gov It has all the bus routes, schedules, and some luggage requirements so you don’t get held up.